Worms World Party is the ultimate in platform games that sees the return of the wiggly worms in one of their best adventures to date. The game is complimented with top of the range graphics and is highly addictive to say the least and I can assure you will have hours of fun working your way through the endless levels within the game. 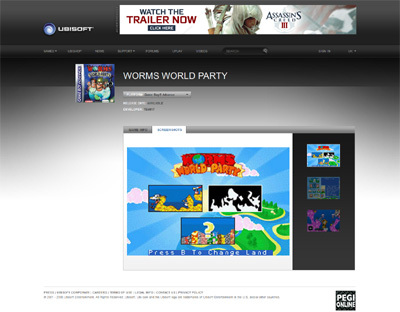 We have also compiled a Review System for this, of which Worms World Party is Rated as Three Stars, the third highest possible score available from the Game Review Team.